Membership in the Institute of Weddings is open to wedding professionals, wedding business owners, wedding planners, wedding bloggers and other members of the wedding industry who agree with, and pledge to uphold and to abide by, the Professional Standards of Conduct and Code of Ethics prescribed by The Institute of Weddings. The Institute of Weddings ensures that the cost of membership is kept extremely affordable to ensure that businesses of all sizes, whether new or well established, have easy and equal access to the benefits that IIW can afford them. In 2019 we have launched a new component of IIW membership – the IIW Trust Seal. In today’s competitive world, “trust seals” are being seen in more and more industries, as a way for a business to differentiate itself from its competition. Consumers today are increasingly cautious about who they can trust, and displaying a validated 3rd party trust seal issued by a recognized objective third party organization increases customer confidence, conveys legitimacy, and provides your business with a competitive edge in your market. 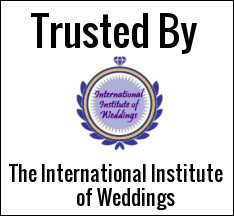 The IIW trust seal shows your prospective clients that you are trusted and endorsed by The Institute of Weddings. As part of the application process, we will validate your business, verify your reputation, and give you the opportunity to correct any areas of concern available on the public record. Only then will we issue the Trust Seal. Displaying your Trust Seal on your website, promotional materials, advertisements and in your place of business helps give potential clients the assurance that you are the right choice for their wedding. Certificate of Membership, suitable for framing. (Note: A small shipping and handling charge will apply if you wish to have the physical certificate mailed to you – $5 USA or Canada; $10 International). 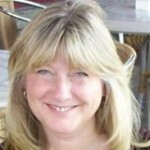 Online Credential Verification and Validation. Authorization to use the Institute’s name, seal and logo in your advertising and promotional materials, on your web site, business cards, etc. Business & Marketing Coaching Sessions (Private Coaching in a one-on-one scenario – 1 hour session) offered once per year for each member. Free for Members – $125 value. Exclusive Member Discounts discounts on IIW certification courses, business training, website design, business coaching, online marketing services, and professional development programs. From in-depth certification programs to short courses aimed to help the wedding professional attract more clients and customers, our courses and training programs can help you get more business. We have also partnered with a leading digital marketing agency to offer our members group rates and member discounts of up to 75% off digital marketing services to drive customers to your wedding business (including website design, PPC management, SEO services, facebook marketing, press release distribution to major media outlets, white hat link building as well as others). Our business support services can help grow your business: Social Media Management, Search Engine Marketing, PPC Management, Web Design, WordPress Support, Blog Set Up, eCommerce Store Set Up, Custom Programming, App Development, Mobile-Friendly Website Conversion, Copywriting, Logo Design, Promotional Newsletters, and more. The IIW Bulletins bring you valuable news you can use to increase your wedding business, including wedding industry and the latest strategies for marketing to brides, getting more customers, and booking more weddings. Members pledge to uphold The IIW Standards of Conduct and Code of Ethics.